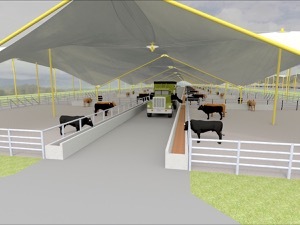 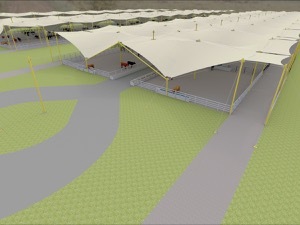 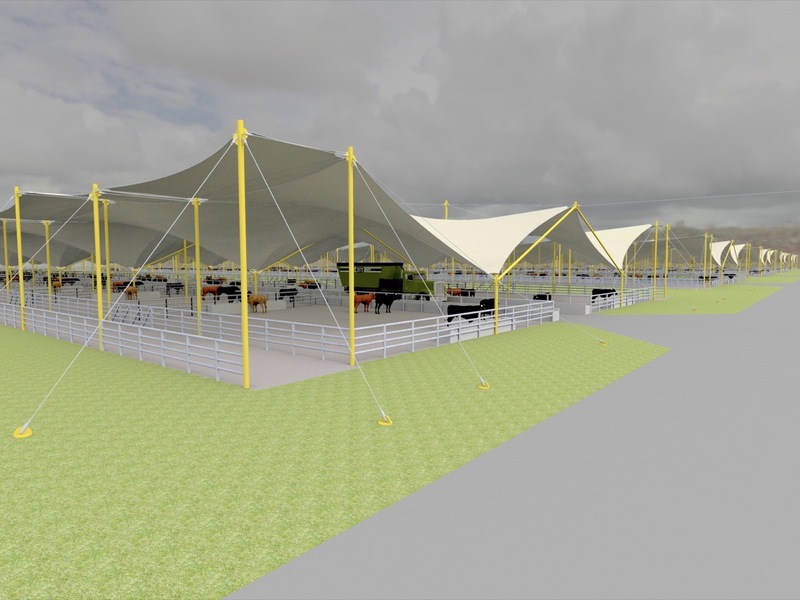 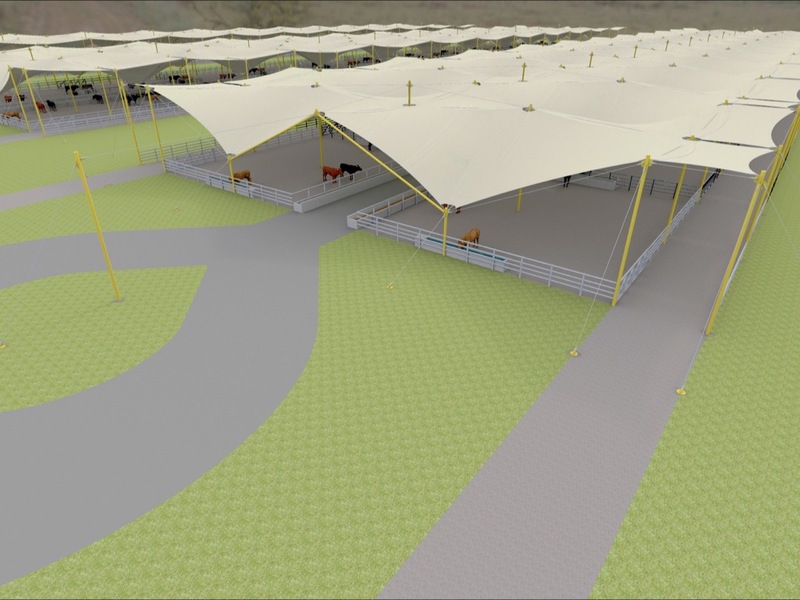 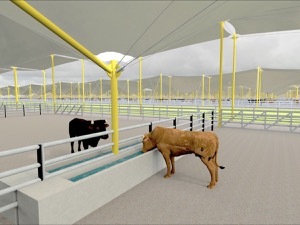 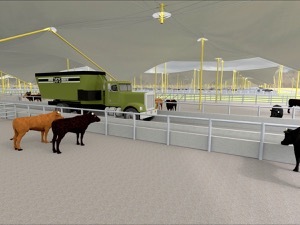 Shelter for beef cattle and sheep feedlots located in high rainfall areas must be designed to control of large quantities of water whilst in hot arid environments provision of shade is the paramount consideration. 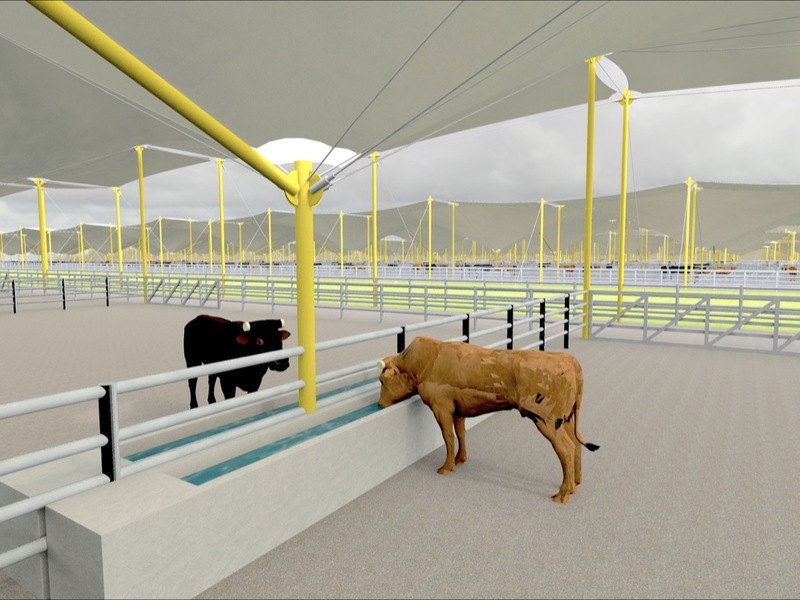 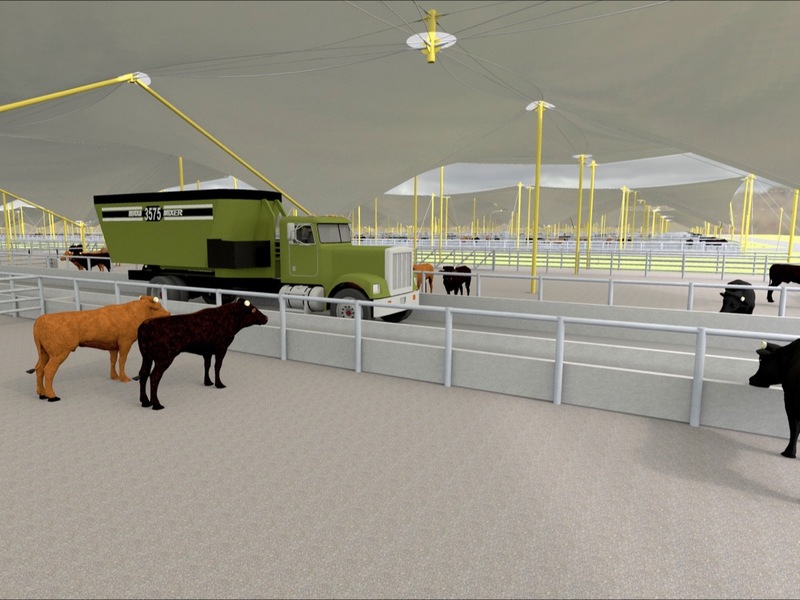 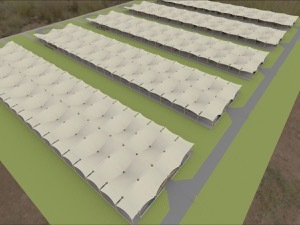 Cost effective modular solutions have been developed for feedlots and shelters to meet the requirements in each type of environment. 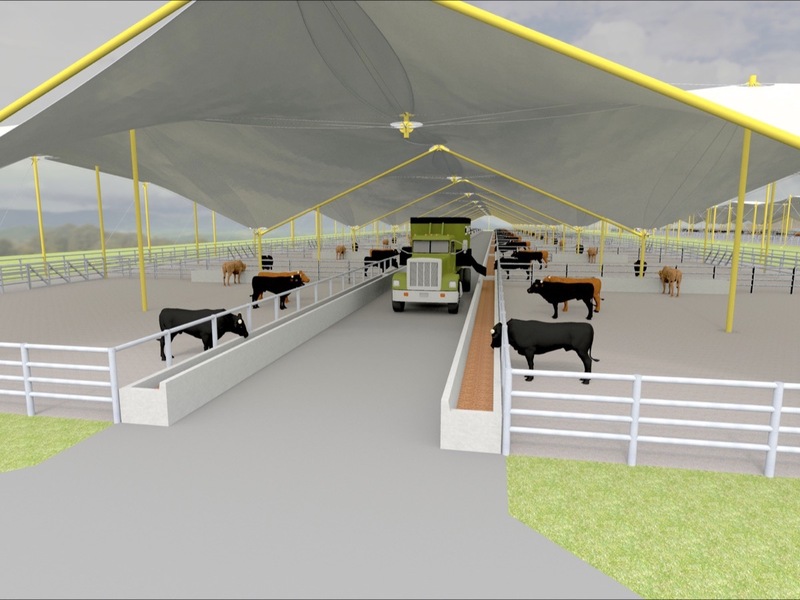 Solutions involve a mixture of impermeable membrane materials and high quality shade-cloth for the canopy with sides open to the atmosphere to allow full cross wind ventilation.